Troubled airline Loganair has been urged to “come clean” over its reliability problems after the latest emergency involving a flight to the islands. The call was made in the wake of a full emergency being declared at Sumburgh Airport on Shetland because an aircraft with 49 people on board had to land using only one engine. The Saab 2000, which had left Aberdeen two hours behind schedule, landed safely at 9.30pm on Wednesday but passengers had to leave the plane while it was still on the runway surrounded by fire engines. Loaganair said that the crew had declared a mayday after the captain had received a fire caution indication from the portside engine, which was then shut down as a precaution. It was the latest in a series of safety concerns raised in recent weeks, including a Loganair plane being grounded at Stornoway because of a cracked propeller, and another was turned around mid-flight between Manchester and Inverness due to a problem. Pilots union Balpa has also raised concerns about defects on planes. 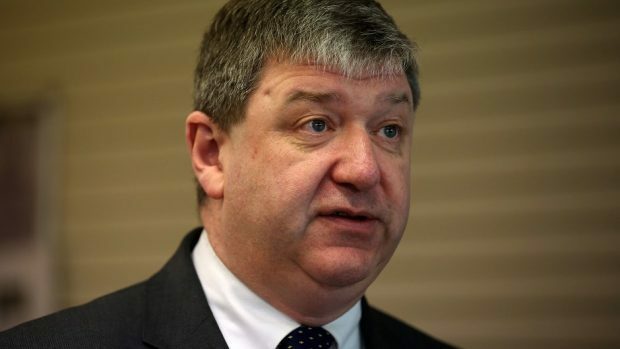 Former Scottish Secretary Alistair Carmichael, the MP for Orkney and Shetland, said: “The communities in the northern isles have been incredibly patient with Loganair and the Civil Aviation Authority this year. “The reliability of our lifeline air services has fallen off a cliff and the number of incidents causing safety concern has increased markedly. David Stewart, Labour MSP for the Highlands and islands, said he was due to meet Loganair chief executive Stewart Adams to discuss the concerns. He said: “I am keen to have this meeting with the chief executive of Loganair as early as possible in the new year in order that we can discuss these very serious incidents involving Loganair. A Loganair spokesman said: “Flight BE6780 carrying 46 passengers and three crew declared a May Day shortly before landing in Sumburgh. “The captain received a fire caution indication from the port-side engine, which was shut down as is standard operating procedure. “Passengers were briefed by the crew ahead of landing and the aircraft touched down safely. “Emergency crews met the Saab 2000 aircraft to carry out an external inspection of the engine on the runway as is procedure. No traces of fire or any other damage were found.